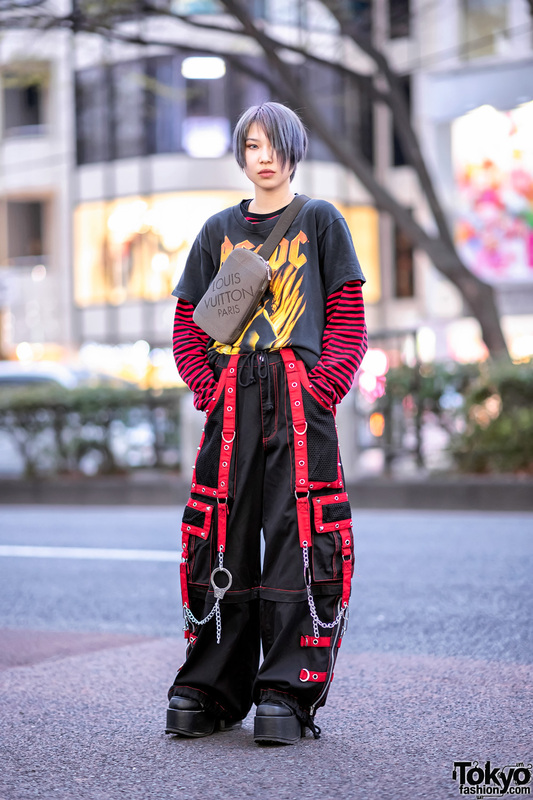 Yoh is a 15-year-old student whose street style caught our attention one evening in Harajuku. 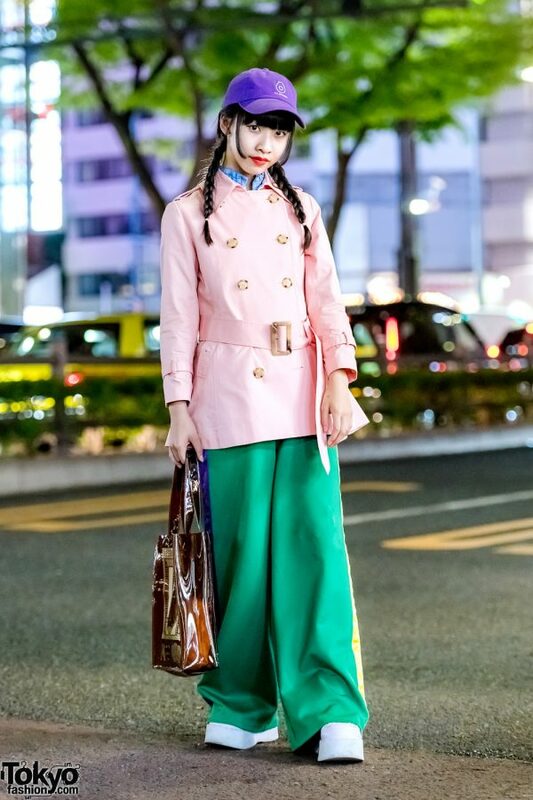 Sporting twin braids and blunt bangs under a purple cap from RRR by Sugar Spot Factory, Yoh is wearing a short pink double-breasted trench coat that’s belted at the waist and cuffs, which is a hand-me-down from her mother. 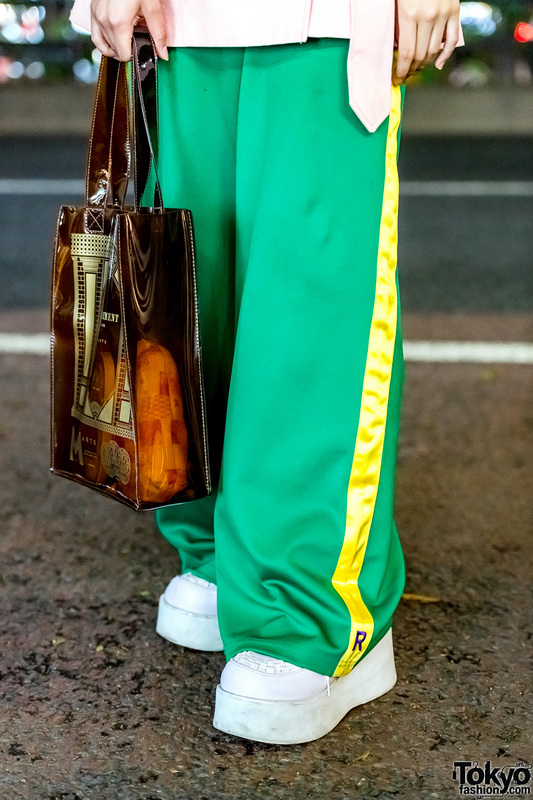 She wore a blue ruffle neck top from San To Nibun No Ichi underneath the coat, and green wide leg pants with yellow side stripes from RRR by Sugar Spot Factory. She finished off her casual look with white platform shoes, a Marte see-through tote bag, and a touch of red lipstick. 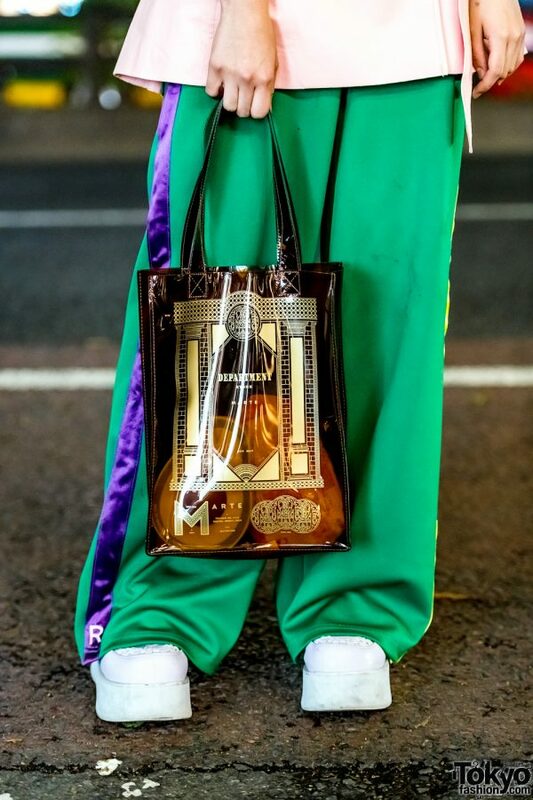 Yoh lists RRR by Sugar Spot Factory as her favorite fashion brand, and she is active on Instagram.